Powerful and invasive tree roots can cause blockages to your Bellevue sewer or drain lines, but they are not a problem for Bob Oates Plumbing, Sewer, & Rooter. Homes or businesses with pipes made from fragile materials like clay can experience tree root invasion that can limit or completely blocks their pipes. We specialize in the removal of tree roots and other debris from your residential, industrial, or municipal pipelines to restore full functionality with minimal downtime. Bellevue and the surrounding communities are filled with beautiful trees, but tree roots can lead to invasive roots on your property. Those roots will naturally try to find sources of moisture and nutrients, which may draw them to your water or sewer line. As they creep into the pipes, the roots will block the flow of water, and can even build up additional debris. You may experience clogs or back-ups in many appliances throughout your home, which can be a tell-tale sign of tree root invasion. Leaks and other problems are also likely to occur along the root-infested area. If you notice damp areas of your lawn, or areas that seem particularly lush, that can indicate a problem with the water or sewer line. Sewer line leaks can also have a distinct, off-putting smell. Bob Oates Plumbing, Sewer, & Rooter can inspect and repair your water or sewer line using modern trenchless techniques. Only one access point is needed for the trenchless pipe repair process which allows our technicians to feed a high-definition waterproof camera into your pipes to get real-time footage of your pipeline. Once the camera inspection is complete, we will identify the precise location of the tree root invasion and create a plan to restore your pipes back to working order. Our skilled technicians will use one of many trenchless methods to break up the roots in your pipe. Hydro jetting uses an extremely high-powered stream of water is used to break up and flush away obstructions. We can also use root cutters to clear particularly stubborn roots. After the materials are washed away, a pipe lining is used to seal the pipe and fill in cracks or other damage that allowed for roots to get into your pipes. Clear resin adheres the lining to your pipes to create a new durable coating within your existing pipe. In some cases, trenchless pipe replacement, also known as pipe bursting, can be necessary. All of our solutions for invasive tree roots can be performed from a single access point on your property. 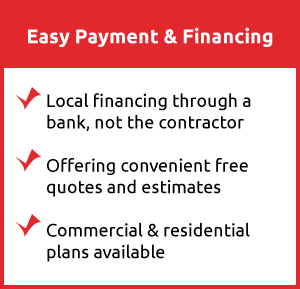 The entire process is efficient and reduces the impact on your home or business. You will save significant time and money by opting for methods that don’t require digging trenches across your yard, parking lot, or other features on your property. 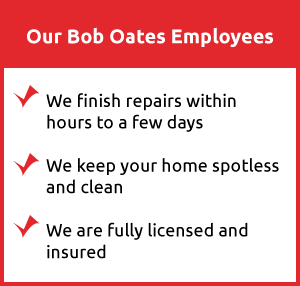 The affordable solutions we provide at Bob Oates Plumbing, Sewer & Rooter will last for years to come as well as leave you with satisfied results. 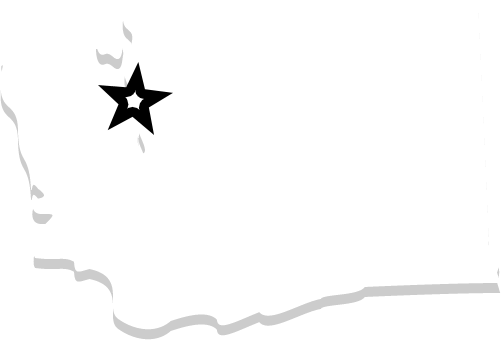 Our reliable and professional technicians are happy to provide high quality service to the Bellevue community. If you suspect that tree roots have invaded your pipes, schedule a pipe inspection, cleaning, or repair service today.